Two bottle top shelf liquor, one wine, one house Champagne, finger food including 2 hookah and 2 head refill for $700. Tax and gratitude included in the price. 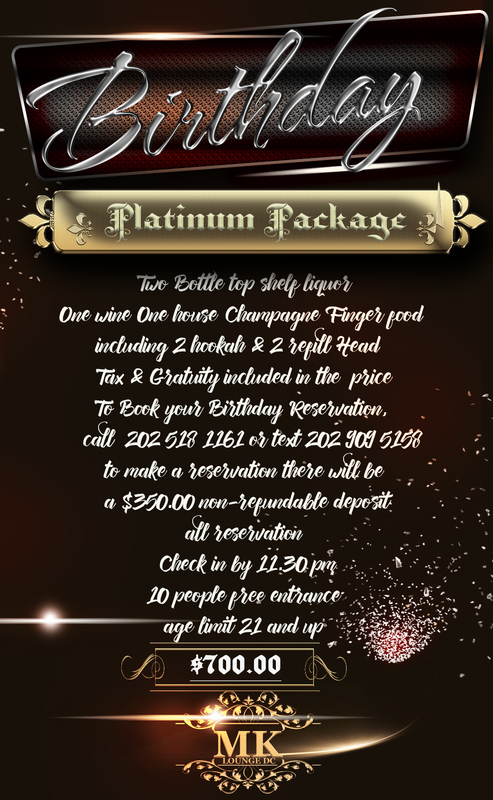 To book your birthday reservation, call 202-518-1161 or text 202 909 5158. To make a reservation, there will be a $350 non-refundable deposit. All reservations check in by 11:30pm. 10 people free entrance. 21 years old age limit.